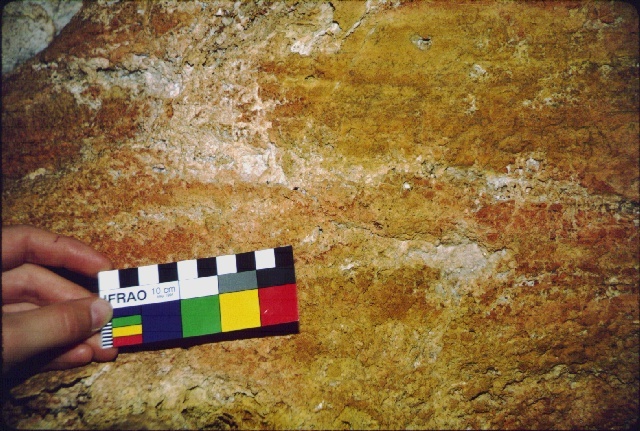 Corrosion residues, the breakdown product of the corrosion of limestone walls, occurs on walls and ceilings of Lechuguilla and Spider Caves in Carlsbad Caverns National Park. Originally termed corroded bedrock by Carol Hill, these corrosion residues were discovered to contain filamentous material suggestive of bacterial and fungal life by Kiym Cunningham. They occur in a variety of colors, including black, gun metal gray, red, brown, yellow, ocher, pink, and orange, and may form a layer a millimeter to more than centimeter thick on walls and ceilings. 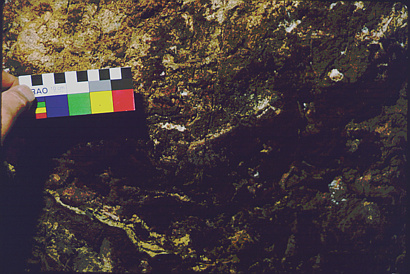 Some of the colors seen are shown in the following photographs. 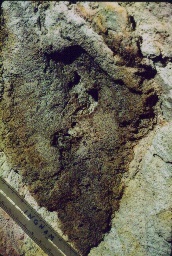 Good examples of brown corrosion residue are seen above Paula Bauer's head. 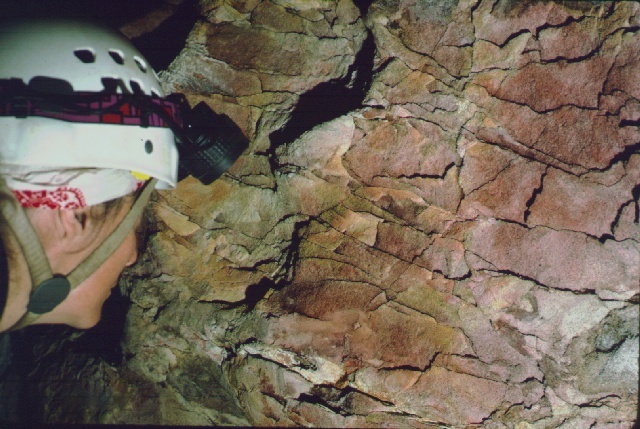 Spider Cave, Carlsbad Caverns National Park, NM photo by Kenneth Ingham. 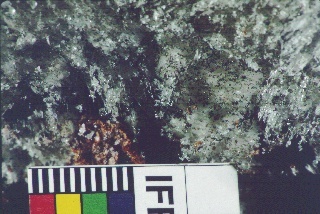 Brown corrosion residues with a smattering of red can be seen in this photo. Spider Cave, Carlsbad Caverns National Park, NM photo by Kenneth Ingham. 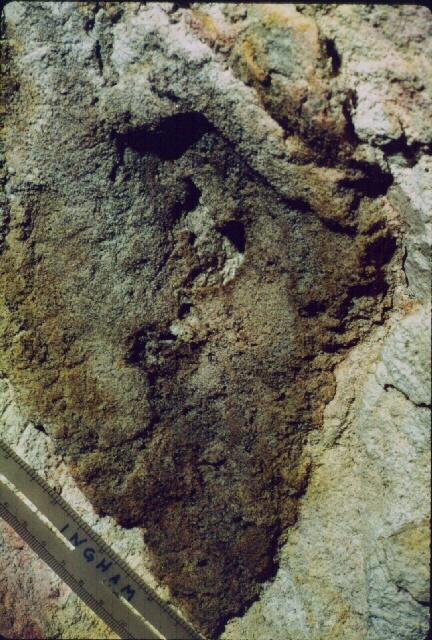 Yellow and ocher colored corrosion residues dominate with occasional red corrosion residue. 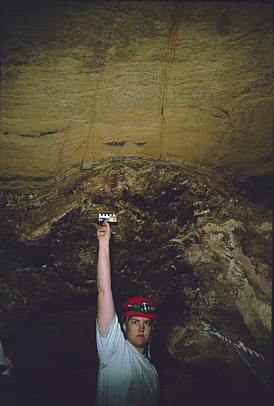 Spider Cave, Carlsbad Caverns National Park, NM photo by Kenneth Ingham. 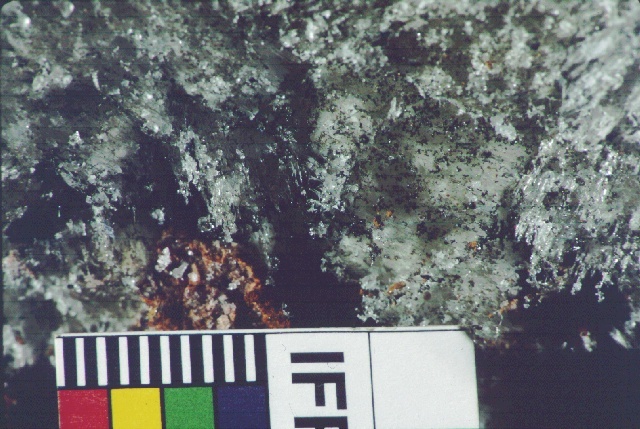 Black corrosion residue on calcite crystals in Spider Cave, Carlsbad Caverns National Park, NM. Photo by Kenneth Ingham. 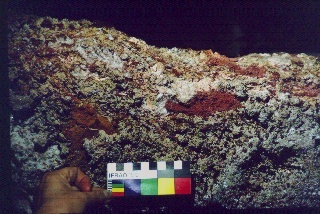 Corroded limestone near EF Junction in Lechuguilla Cave, Carlsbad Caverns National Park, NM shows early development of pink corrosion residue. 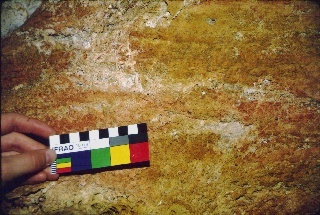 A careless person has stuck their fingers in the residue right of center (above and to the right of the hand holding the ruler). Photo by Kenneth Ingham. Penny Boston observes corroded limestone near EF Junction in Lechuguilla Cave, Carlsbad Caverns National Park, NM shows early development of pink corrosion residue. Photo by Kenneth Ingham. Various shades of red, orange, and pink corrosion residues are displayed in this section of wall in Spider Cave, Carlsbad Caverns National Park, NM. Photo by Kenneth Ingham. 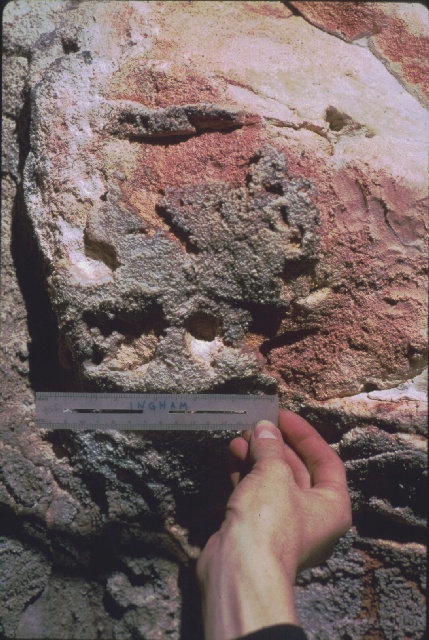 Brown and gray corrosion residues in Lechuguilla Cave, Carlsbad Caverns National Park, NM. Photo by Kenneth Ingham.